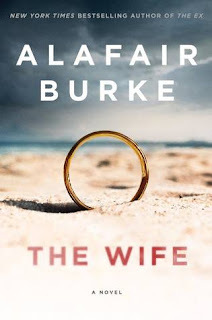 The Wife by Alafair Burke is a 2018 Harper publication. It’s that all too familiar, and oft dreaded question posed by law enforcement when it appears ones husband may have been leading a double life. Angela, just like many other loyal wives, swears her husband isn’t capable of murder, and even gives him a rock-solid alibi. But, deep down, Angela’s insecurities, traumatic past, and the mounting evidence against her husband, Jason, has forced her to take a good hard look at the man she married. This book is just the kind of thriller I love and never seem to tire of. I openly admit, I’m a big fan of this author. However, despite my bias, I truly believe this book would have been highly successful no matter what. But, I must admit, the precision perfect timing of its release gave the story an added boost of power and a ripped from the headlines type of atmosphere, it might not have benefited from otherwise. For authors these days, it’s more of a challenge than ever before to put a fresh spin on familiar plots or to keep their material fresh and original. Jaded readers, like myself, can often see a twist coming a mile off, which might be why some authors are trying to keep readers off balance by throwing in a multitude of over the top shocking twist and turns. But, that gets old in a hurry, and is more about shock value than true writing ability. So, it takes a very skilled author to weave a complex, clever tale around a timely storyline that will keep readers engaged, add in a nice balance of well -timed twist and turns, and top it off with a stunning conclusion they never saw coming. But, that is exactly what Alafair Burke has done with this story. Usually I enjoy analyzing the plot and characters in more detail, maybe build up a little enticing curiosity about the book, but, in this case, it’s best not to say too much. But, I want to stress that this is not just another story about a woman standing by her husband after he’s been accused of misconduct. Trust me, there’s a lot more to this twisted tale than meets the eye! This is a very clever, well thought out, skillfully constructed thriller I can’t recommend highly enough. It’s early in the year to start making a ‘best of 2018’ list, but I think it’s safe to say this one will definitely make the cut. 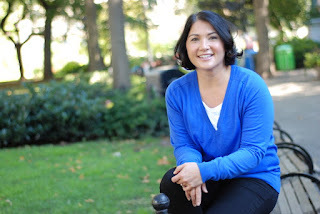 Alafair Burke is the New York Times bestselling, Edgar-nominated author of eleven previous novels, including "two power house series" (Sun-Sentinel) that have earned her a reputation for creating strong, believable, and eminently likable female characters, such as NYPD Detective Ellie Hatcher and Portland Deputy District Attorney Samantha Kincaid. Her most recent novel, THE EX, was nominated for the 2017 Edgar Award for Best Novel. She also co-authors the bestselling Under Suspicion series with Mary Higgins Clark. Her forthcoming novel, THE WIFE, will be released in January 2018 and is available for pre-order in all formats. Alafair's novels grow out of her experience as a prosecutor in America's police precincts and criminal courtrooms, and have been featured by The Today Show, People Magazine, The New York Times, O Magazine, MSNBC, The Washington Post, USA Today, and The Chicago Sun-Times. Harlan Coben has said she is "a major talent," and Dennis Lehane called her "one of the finest young crime writers working today" back when she was young. A graduate of Stanford Law School and a former prosecutor, Alafair is now a professor at Hofstra Law School, where she teaches criminal law and procedure. She lives in New York City with her husband and two beloved dogs. Learn more about Alafair at www.alafairburke.com. Follow her on Facebook, Twitter, and/or Instagram if you're prepared for a healthy dose of dog photos along with your book news.